Things are abuzz for a delicious event. Cooks prepare for a day of food trucking in their “kitchens on wheels” as a young family gets ready to leave on an excursion to a grand food truck festival. 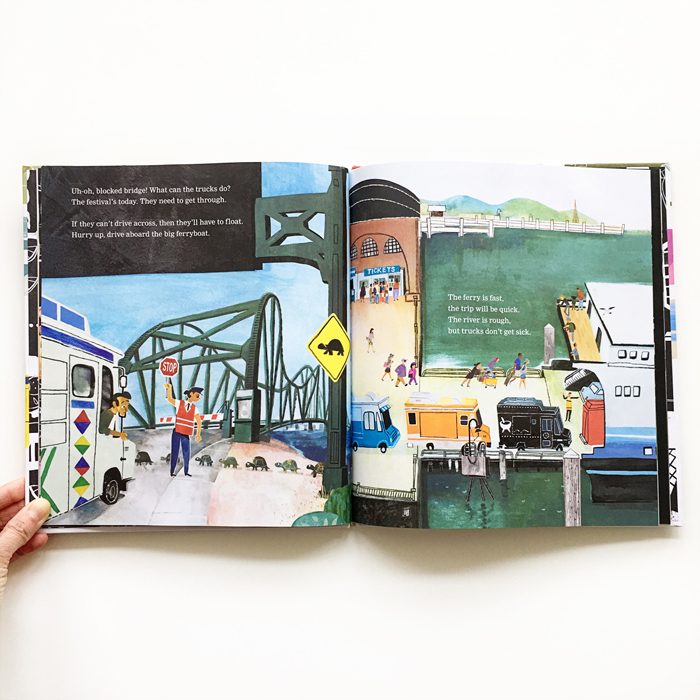 Reading this brings back memories of two-year-old Avery tagging along at local food truck gatherings on warm fall nights. She would sit in her stroller clutching a coconut with a straw poked into it, sipping fresh coconut water while we waited for our orders. So many good memories are food memories. 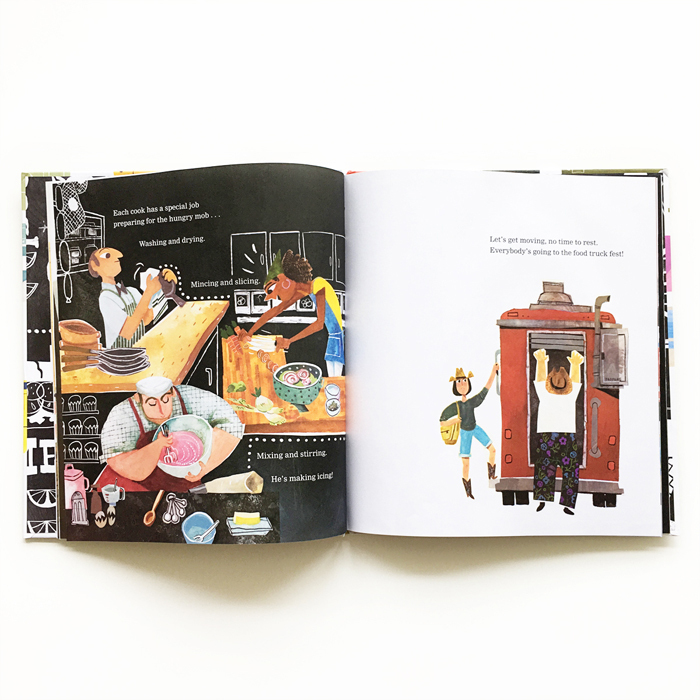 No doubt this story will happily remind you of some, hungrily scarfing an al fresco dinner—delicious morsels in little paper trays—surrounded by your favorite people. 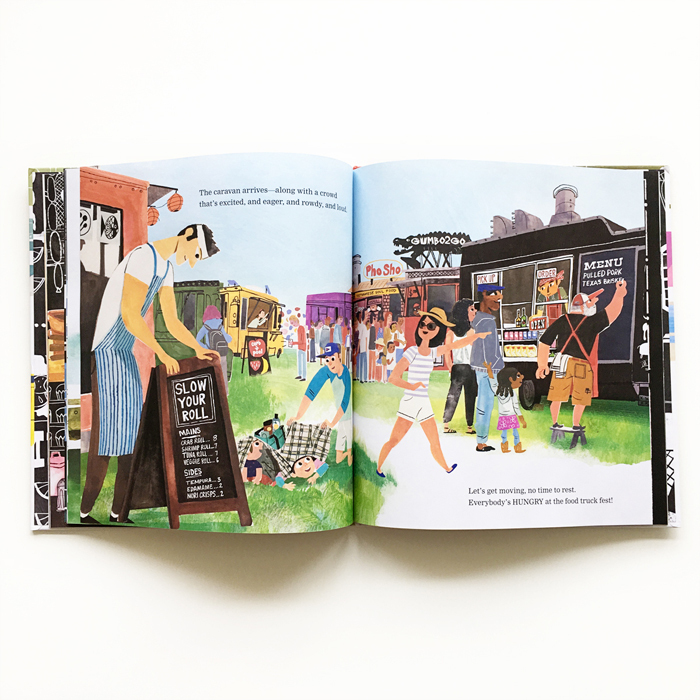 The jaunty rhymes and illustrations in Food Truck Fest capture the energy, excitement and conviviality of gathering together to share meals and the community that simple act creates. A fantastic book! 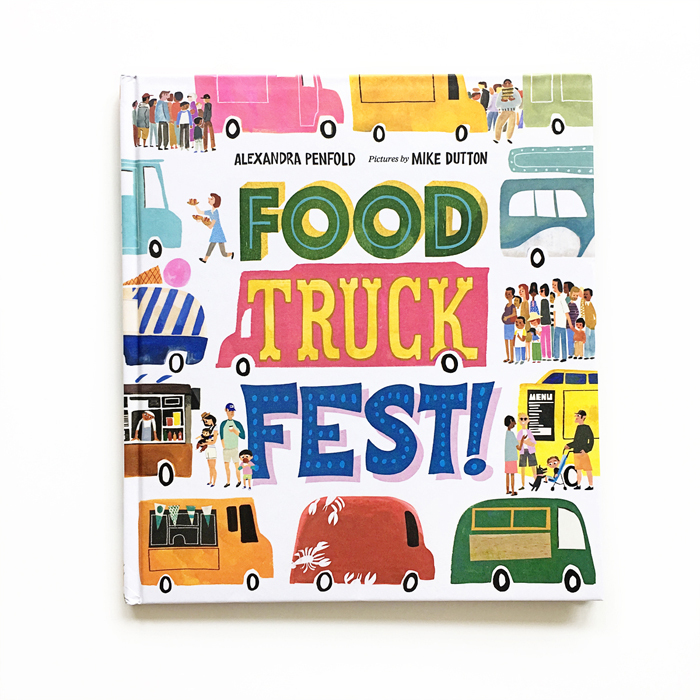 Food Truck Fest was written by Alexandra Penfold, illustrated by Mike Dutton and published by Farrar, Straus & Giroux Books for Young Readers. Out soon on March 13.